Personal Finance does not have to be boring. 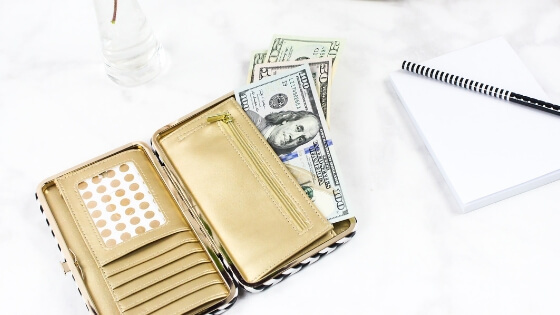 Even if you’re working with a small budget, when you are realistic about your finances and truthful with yourself, you can come up with a money management system that will work for your needs. You can manage your personal finances like a pro no matter where you are. It only takes some understanding of how to go about it, and commitment to improving where you are lacking. This post contains affiliate links. I might get a small commission when you purchase from this site at no extra cost to you. Please know that I only recommend products I use and trust! 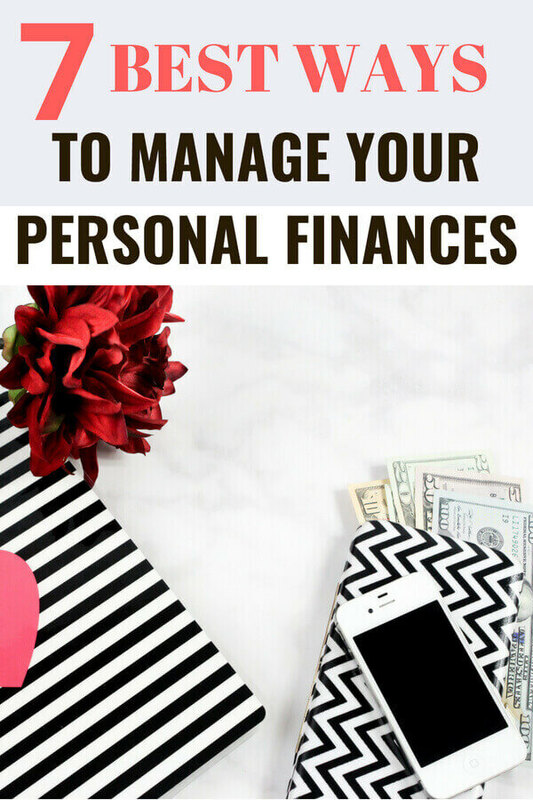 The first step to managing personal finance is to take control of your spending. You need to set up a realistic budget for where you are right now. You can use something as simple as personal finance spreadsheets, cash envelope, printable budget binder or you can use the software that your bank likely provides to help you. 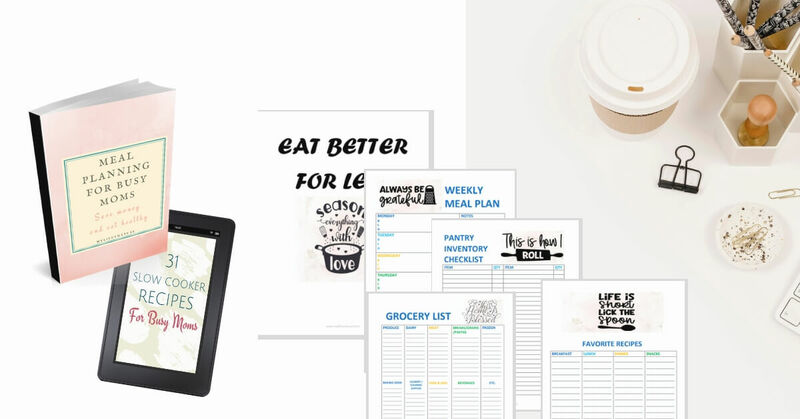 Meal planning is a great way to reduce your food budget! Learn more about Meal Planning here! 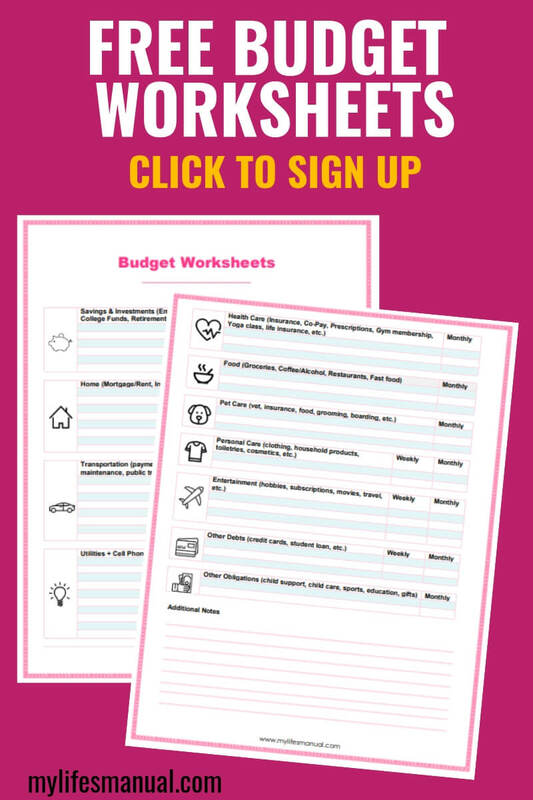 Get this Budget binder and get control of your spending. Don’t worry about what you make before deductions such as health insurance, taxes, and your retirement savings contribution. Note your net income, because that is what you are really working with. For about a month, track your spending habits. The only way to get real with yourself is to write down everything you spend money on - whether it’s cash, credit, or a debit card. It doesn’t matter if it’s one buck or 100 bucks; you need to track it and categorize it. Finally, keep monitoring your budget as you go through life. Don’t allow it to end up on autopilot because (and this is especially true if you have any credit card debt or student loan debt) the freedom of getting out from under that debt as fast as possible will far outweigh the joy you got from that pashmina shawl you wanted so badly. If you have an emergency fund, you’ll be much less likely to end up relying on credit cards - which can often just make your life worse when you’re in the middle of a crisis. An emergency fund will eliminate the need for you to use debt for these life challenges. Keep your change in a jar and when it’s full, take it to the bank. Put all savings from coupons into savings. If you spend less than your budget on any given pay period, move that to your savings. If you have nothing for savings, find places to cut expenses so that you can build an emergency fund. If you must, get an extra job or become an independent contractor to add some income to your fund. If you get a tax refund, save it in your emergency fund every single year. Want more unique and doable Personal Finance Tips? The more seriously you take saving money in your emergency fund, the better off you will be. Even if all you can manage to save is the same amount as your insurance deductibles (health, car, and house), you’ll end a lot of stress and avoid using credit for things that are going to happen. Cars break, people get sick, and houses get damaged by storms. It’s all part of life. There is both good debt and bad debt. An example of good debt is a mortgage for a reasonably sized house in a reasonable neighbourhood. Bad debt is pretty much any type of unsecured consumer debt like credit cards, especially if you used that credit card for entertainment and not an emergency. The important thing is to be realistic about how much debt you can take and stick to the budget you’ve created. Banks will often base how much they give you for a mortgage limit based on your gross income instead of net income. This is dangerous and you could end up having trouble meeting your obligations. There is something that personal financial planners use to determine if you have too much debt. It’s called DTI (Debt-to-Income Ratio). This is figured out by adding up your total debt payments for each month and then dividing it by your full monthly income. Learn how to get out of credit card debt fast here. There are ways out of this, such as filing an "Offer in Compromise" that year to lower your tax burden. But the other thing that can happen is your income might increase. One thing you shouldn’t overlook with personal finance is retirement planning. It’s very easy to say when you’re young that you won’t ever retire, but you may need to. Your job may be killed off due to technology, you may develop illnesses and be unable to work, or you may change your mind and decide you’d rather spend your golden years travelling than working. At the very least, start saving now for retirement so that you have a choice. Open Your Own IRA – You can easily open your own IRA through your credit union or via another method. Donate the maximum amount you’re allowed by law. You may want to talk to a personal financial planner to help you with this. Most credit unions offer some financial planning free with your account. This is a long-term investment and overall, for people who set up their account based on the year, they want to retire it’s not difficult to do. A very important part of Personal Finance is managing your tax liability. Depending on your situation, it may pay to see a financial planner. The important thing is to hire a professional to help you who is honest and ethical. But, also teach yourself what you need to know so that you don’t just leave it to them. Check out everyone who offers to help you make a lot of money or who wants to help you manage your finances. 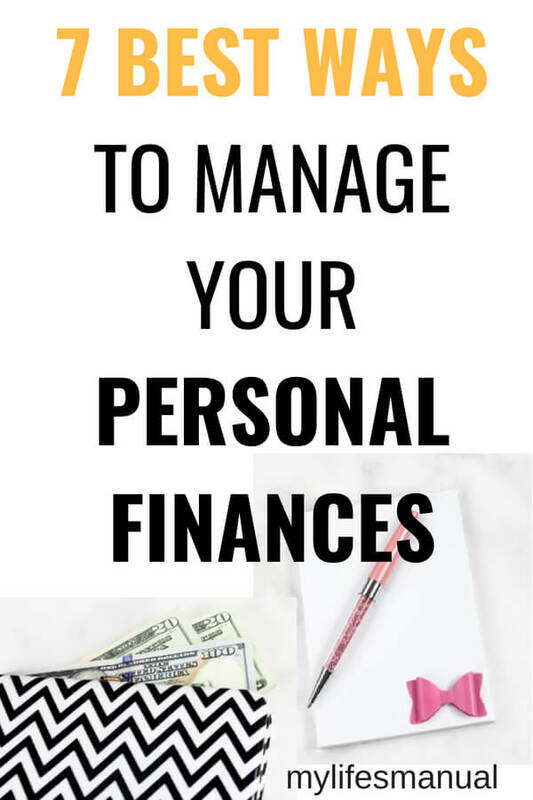 Only go to reputable places to find help with Personal Finance. Personal finance is not all about saving money and spending it wisely to secure your future. One thing to keep in mind about money management is that you aren’t guaranteed tomorrow. Chances are you will live to about 80, but most personal financial planners say to plan to live to 99 years old. But, you could get sick tomorrow. You could die tomorrow. It’s better to balance how you invest and save with how you live your life. Just live within your means and if you don’t like the means, then you must find a way to increase your earnings to fit the lifestyle you want to live - while still taking care of tomorrow. Did you take note of these 7 Best Personal Finance Tips? What tips can you start immediately? If you like this post please share it or leave your comment! I really need to work on setting a budget for myself, I'm so bad at just spending whatever I feel like! Thank you for this! I’m bad at keeping track of my money and am definitely a shopaholic! Awesome tips. I loved your insight on debt. Not many posts I’ve read on finance dive into that! I believe that people should know what they actually need and what they want. If you want to buy something but that is of no use for you then you must leave that. I have spent so much money on unnecessary purchases but now have learned to control on my wishes. Have started investing my money. Even get advice from my certified financial planner india before making any investment.